Bossa Studios has announced that Surgeon Simulator CPR (Co-op Play Ready) will release on Nintendo Switch this week. In the critically-acclaimed operation sim, you play as Nigel Burke – a would-be surgeon with a less-than-conventional toolkit, who must perform terrifying transplants in theatre, high-pressure procedures in an ambulance and anti-gravitational operations in space. With notoriously difficult controls that add to the game’s wacky humour, you can snap out a Joy-Con controller to use motion controls at any time – with HD Rumble making every tool – whether that be hammers, hatchets, buzzsaws or laser pens – come to life like never before. 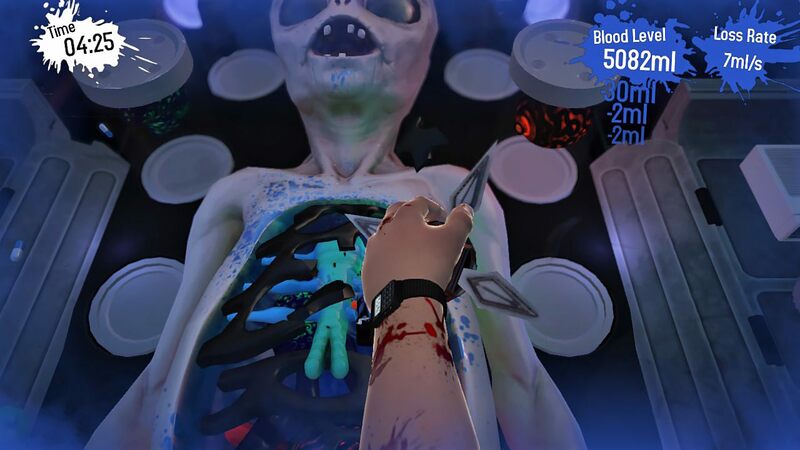 Coming with the additional teeth and eye transplants from the A&E Edition and the highly-classified Alien Autopsy mode, Surgeon Simulator CPR also has split Joy-Con support to let a second surgeon help out in local co-op. Surgeon Simulator CPR will release on the Nintendo eShop for Nintendo Switch worldwide on September 13th.